A Church of Welcome...Experience the Difference! Minister Shannon Chumbley serves as Assistant To The Pastor and Minister Of Children/Outreach. Minister Chumbley has a passion for evangelism and outreach. He has a heart for the community, and he looks for ways to serve the community better. 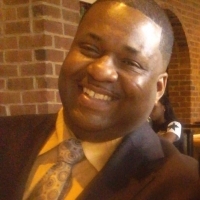 Minister Chumbley is a graduate of Gallatin High School and Volunteer State Community College. He resides in Gallatin, and his favorite saying is: "God Is Able!"